Republicans are attempting to push a bill through Congress that will allow internet service providers (ISPs) to charge whatever fees they wish. 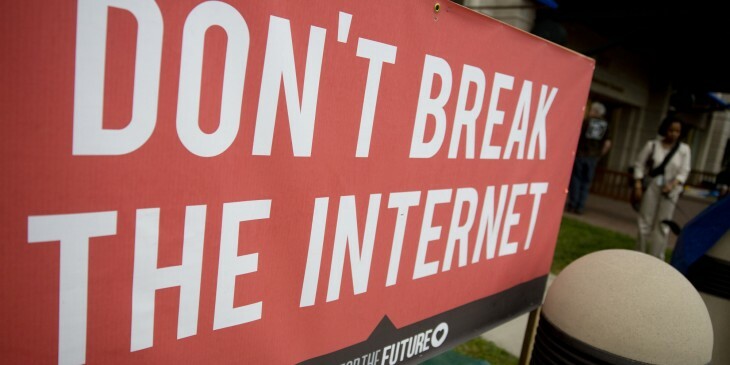 In a hearing today, reports Ars Technica, the “No Rate Regulation of Broadband Internet Access Act,” has been designed as such to prevent the Federal Communications Commission (FCC) from regulating rates charged for providing Web access. At present, the FCC has the power to investigate complaints from users about unfair pricing under the Tittle II classification, that many have dubbed the ‘net neutrality act’. Democrats are actively opposing the bill, noting the FCCs vital role in ensuring the public get a fair deal, especially if one service provider has a monopoly over a certain area. “The commission has an important role to play in consumer protection, which includes the billing practices of the nation’s broadband providers,” said congresswoman Anna Eshoo. Stripping the FCC’s powers she said could open the door for ISPs to implement data caps in a discriminatory fashion or adopt future harmful practices that can’t be foreseen today. While this bill’s fate has yet to be sealed, broadband companies are currently suing the FCC to overturn the net neutrality order passed last year that prevented the likes of Verizon, AT&T and Comcast from shamelessly limiting internet speeds in pursuit of the all mighty dollar.